Replaces fire wall connectors. Includes both male and female. 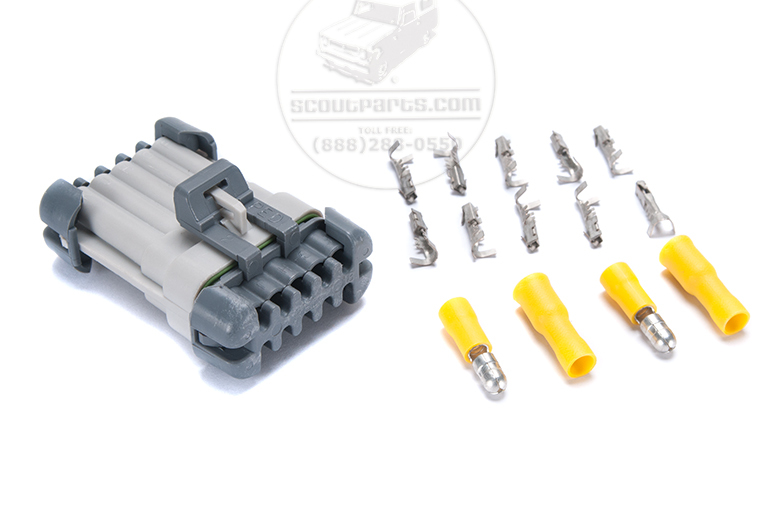 It is a complete replacement for the factory black plastic fire wall connectors. After 45 years, all of the firewall connectors have gone bad. 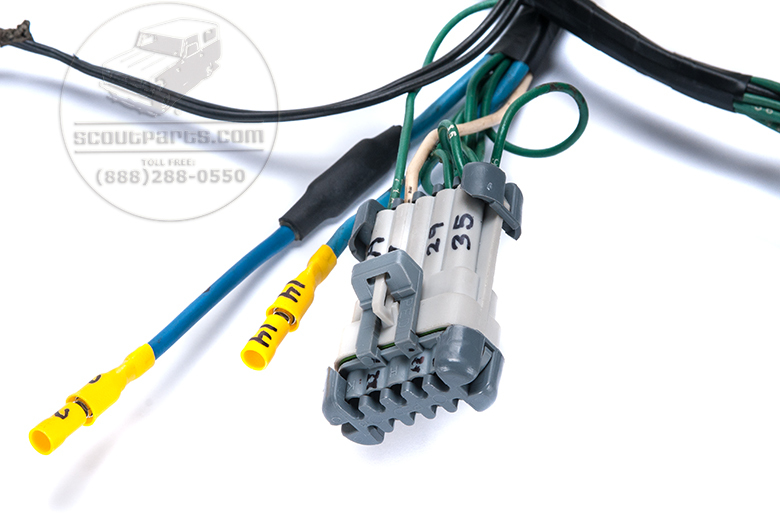 They are the biggest reason for your gauges to This kit includes 2 extra wire ports to add optional electrical equipment. Like a tach, voltage gauge, or cruise control. 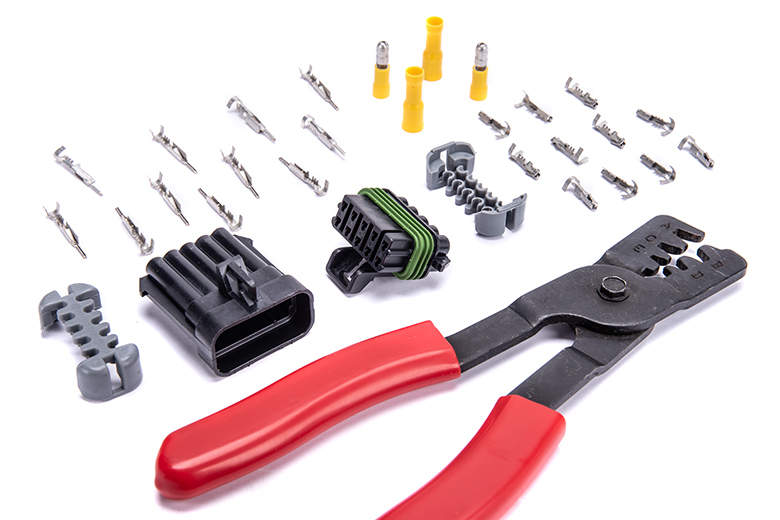 What you get: 11 male contacts, 11 female contacts, 2 male, 2 female, large yellow connectors and one red hand crimper.